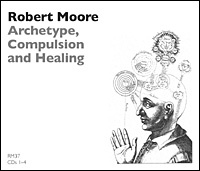 In this workshop, Dr. Moore continues his series on the clinical implications of the structure of the collective unconscious. He discusses the relationship between archetype, compulsion, and fragmentation in human personality. Clinical implications for therapeutic strategies in integrative psychotherapy are addressed. This workshop is a continuation of Dr. Moore's studies in neo-Jungian structural psychoanalysis and integrative psychotherapy.